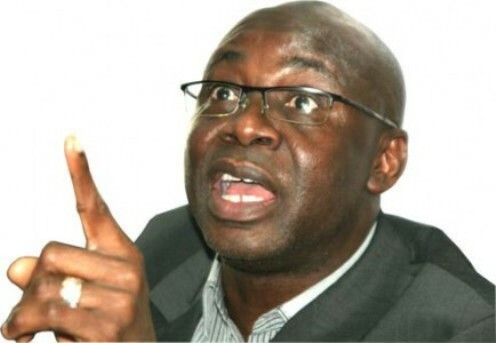 LAGOS MARCH 30TH (NEWSRANGERS)-Tunde Bakare, serving overseer of the Latter Rain Assembly, LRA, has warned the President Muhammadu Buhari administration about what Nigerians can do. He warned that Nigerians can shut down the government as a result of herdsmen killings, conspiracy and mismanagement by the present administration. Bakare stated this at an event organised by Enough is Enough, a coalition of youth advocacy groups. He said the order by the Inspector-General of Police for vigilante groups and weapon-bearing individuals to surrender “illegal firearm” should apply to all including the herdsmen. The fiery preacher said, “This is why I said this government is compromised completely. If you are making such a rule, let it be a statute of general application, let it apply to all. “Nigerians need to wake up, shine their eyes and put their own destinies into their hands. They should fight for themselves. “There are several ways to do it. Civil unrest is one of them, protest is another. We (Nigerians) can shut this government down. Bakare also accused the Buhari administration of mismanaging fuel subsidy, saying it refused to deregulate the downstream sector of the oil industry at the expense of Nigerians. He said, “Show me in the world, any civilised society or any nation that is developed where government does business. “Government job is to create enabling environment for business to thrive and flourish. Government job is to set policy.